Eden Reforestation Projects (Eden) is a non-profit organisation working to rebuild natural landscapes destroyed by deforestation in developing countries. In Ethiopia, where it planted nearly 16 million trees before suspending its activities in 2015, the urgency of reforestation remains real. Hence its search for new financial partners, with whom Eden would relaunch its activities in this East African country, where deforestation is said to be responsible for 40% of national greenhouse gas emissions. “In mid-2015, our work in Ethiopia was suspended… We are now looking for new partners who share our values here in terms of protecting the poor and the environment. ”Says the Ethiopian branch of the Eden Reforestation Projects (Eden) website. Before suspending its activities in Ethiopia for unknown reasons, Eden had planted 15,998,000 trees in Ethiopia within 159,980 working days. Through an agreement with the government in 2004, Eden had applied a unique model, called “Employ-to-Plant”. It is simply a matter of giving priority to the needs of local villagers, through an alliance of poverty alleviation and responsible environmental management. Thus the association collects financial contributions that are paid back in the form of remuneration to the poorest, in return for work: tree planting. This method is doubly effective, in that it allows working relationships to be maintained while rejuvenating the soil and therefore the natural environment. The constant source of income provides families with a way out of poverty and also provides them with the resources to send their children to school. In the first year of operation, more than 200,000 trees were planted, making this reforestation programme one of the most successful in the region’s history. According to official data, Ethiopia has lost almost all of its forests in 50 years. According to reports, the deforestation is responsible for 40% of national greenhouse gas emissions. It is therefore understandable that everyone is motivated to contribute to the restoration of the vegetation cover of this country, which represents one of the 10 largest countries in Africa, with an area of 1,127,127 km2. At COP 21 in Paris in November 2015, Ethiopia committed to reduce its emissions by two thirds by 2030. To this end, the Ethiopian government is focusing on renewable energies and low-carbon technologies in transport or construction. As for Eden, the revival of its activities in Ethiopia will require the commitment of new financial partners. To date, the organisation has set up nurseries and reforestation programmes in Madagascar, Haiti, Nepal and Indonesia. Eden plants more than 3 million additional trees per month. 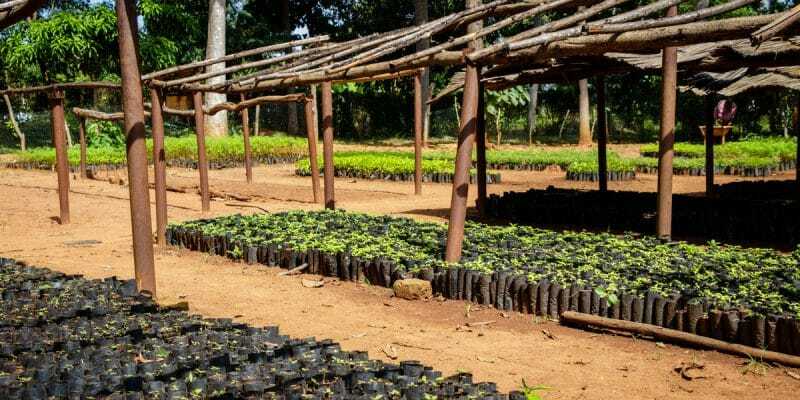 This approach has enabled more than 200 million trees to be planted in 14 years from the association’s inception in 2014 to 2018.